Patchbay: integrated API standard, extended with additional 48 mic inputs from and line signals to booths (a total of 96 signals to and 96 signals from outboard analog gear). After spending a morning getting a very special piano to sound just right in the Music Room, a client walked into the Control Room to hear the report from the microphones. 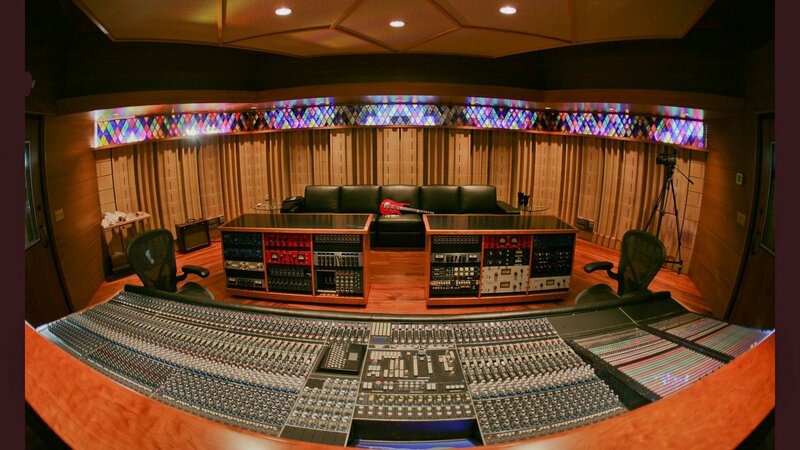 He sat down at the console, and, with a slightly startled look, said “it sounds as if there’s no glass between the Control Room and the Music Room!” The accuracy of the sound coming from the monitors was that good. With such accuracy as a starting point, any interpretation of that reality becomes possible. 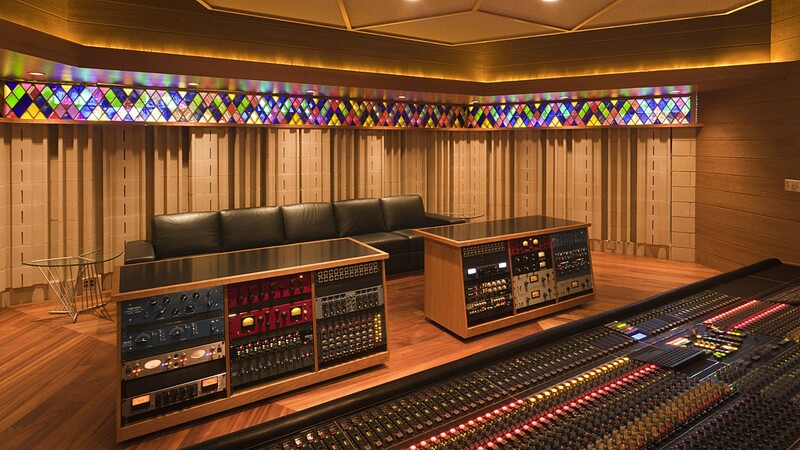 The console itself offers 32 212L preamps, 32 215L high- and lo-pass filters, 64 API 550L and 560L eqs, 16 225L compressors, 6 235L gates, 4 205L DIs, and 24 slots of 500-series outboard gear, a perfect collection for a console-only session. For more sonic colors and flavors, two credenzas (pictured below) provide some of the most exciting tube and solid-state options available today. As a control room for tracking. 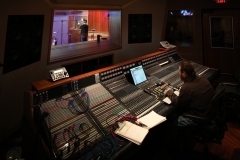 All audio signals throughout the studio route to the control room patch bay, allowing the use of house- or client-supplied preamps, channel strips, and/or A/D converters. 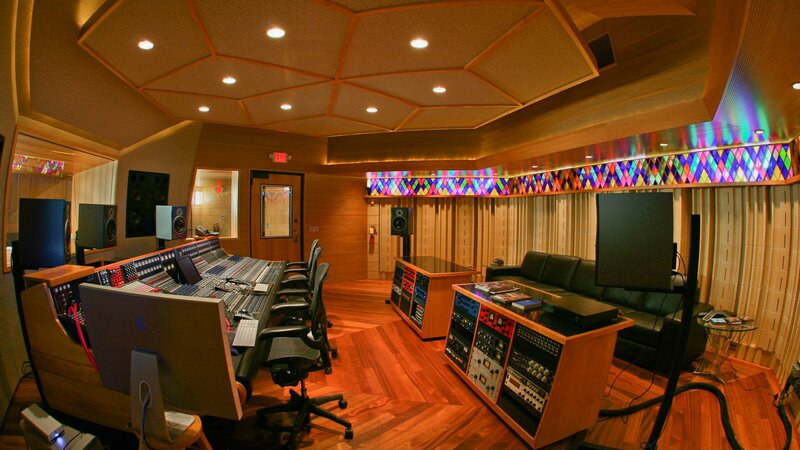 As a tracking room itself. In this case the artist and the recording engineer share the room. 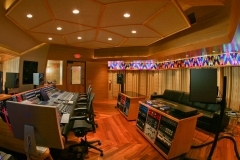 Pass-throughs to the Sound Locks allow amplifiers to be isolated from the Control Room environment. 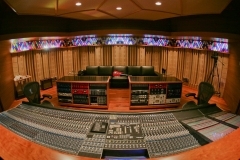 As a mix room for Stereo and surround formats up to 7.1 (with optional video sync and monitoring). 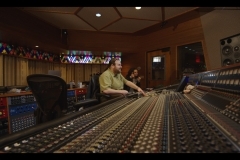 Client-supplied hardware can be patched into the mix chain, up to and including a side-car analog mixer for those who prefer to work mostly in the analog domain. As a hands-on classroom for up to 16 students. As an environment for co-production. Projects that remain exclusively in the digital domain can be completely recalled from the facilities 100 TB storage array (41,000+ hours worth of 24-track audio at 96k/24 bit or 7500+ hours worth of HD Video) or reloaded from off-line media. In the course of designing the studio, many decisions were easy (though the implementation of those decisions was not necessarily easy). The laws of physics and acoustics told us how large to make the Music Room and how to properly dimension and treat the Control Room. The rules of architecture taught us how to lay out the program of the many acoustic spaces so that they could be used in a variety of ways to achieve a variety of goals. 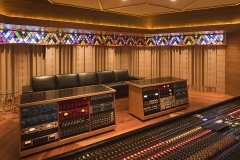 But when it came to the question of what console will define the nerve center of the studio, the question of analog vs. digital proved a challenging one, because the choice was fundamental, and because one is not clearly better than the other in all possible use cases. We decided to build an analog/digital hybrid as follows. 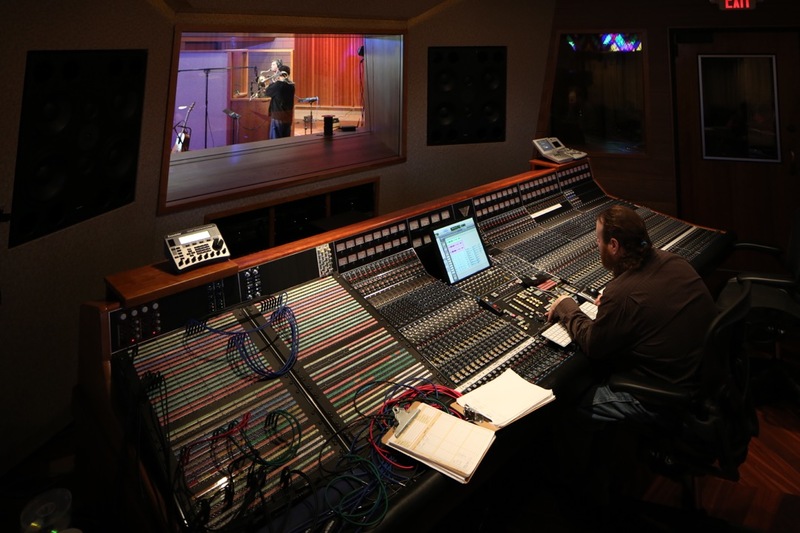 The 64 channel API Vision console provides unquestioned sonic quality. Its ergonomics are second nature to the vast majority of top engineers around the world. No “second conversion” is required between analog channel and analog summing. And for those who have dreamed of mixing on a real API, this is a real API! Yet the industry is in transition. 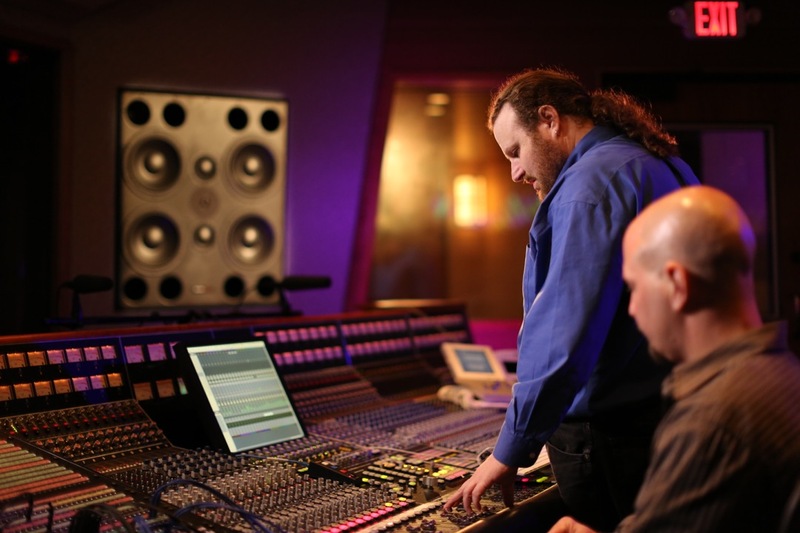 Analog may be the preferred format of many engineers, but digital formats (ProTools in particular) have become the new medium of exchange. And digital audio is now practically the only format relevant to video. Thus, if we are to build a valid archive of audio and video, the digital format must be our common denominator. But what digital format(s)? What digital interfaces? And how far up the signal chain? The building blocks of the digital revolution, CPUs, disk drives, network interfaces, and communication protocols have taught us all the power of commodity economics. Proprietary interfaces, no matter how wonderful, have never sustained their price premium (or even maintained parity performance) against commodity technologies that are in full swing. For this reason, we have built our digital core around non-proprietary data formats and protocols, using proprietary format converters where necessary to meet client needs. The digital audio core is based on several 1536×1536 Harrison Xrouters. A side benefit of using the Harrison routing solution is the multiple digital audio workstations (and video editing suites) can be used simultaneously and none need convert their project from one format to another. Thus, from a single interface we can support a video editor using Nuendo, a musician using Digital Performer, an animator using Ardour, and a producer using ProTools without bouncing any out of their preferred environment and with each able to save their edits in their own native formats. Of course that is on top of the potentially unlimited tracks that can be mixed prior to stemming out to the console. 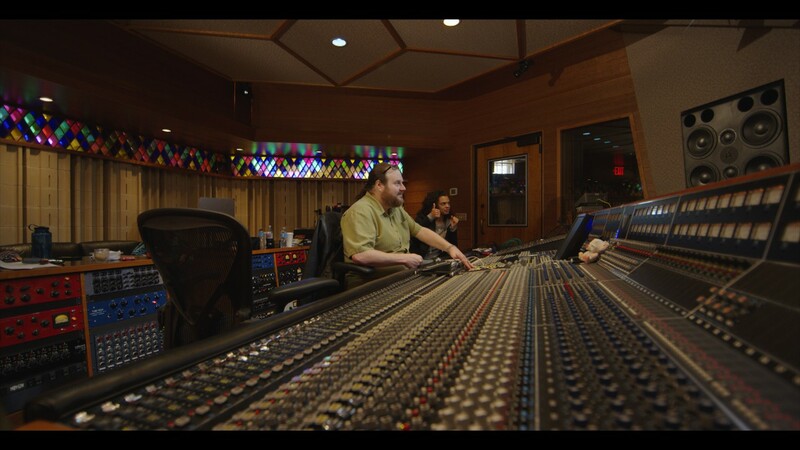 For clients who are straight-through in-the-box users, the control room remains a highly accurate monitoring environment. ProTools control is supported by the console (using HUI emulation) and can also be effected by using tactile computer interfaces. 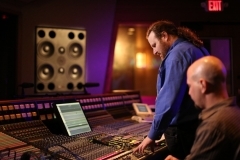 A third possibility is to mix “Massenburg-style,” which is to say using a client-supplied D-command or a (split) D-control surface oriented sideways to the surround field. Such a setup can be accomplished without moving the API console. In the end, we believe that the compromises we have made will prove to be the winning ones for our clients. Feel free to send us an email with your thoughts!